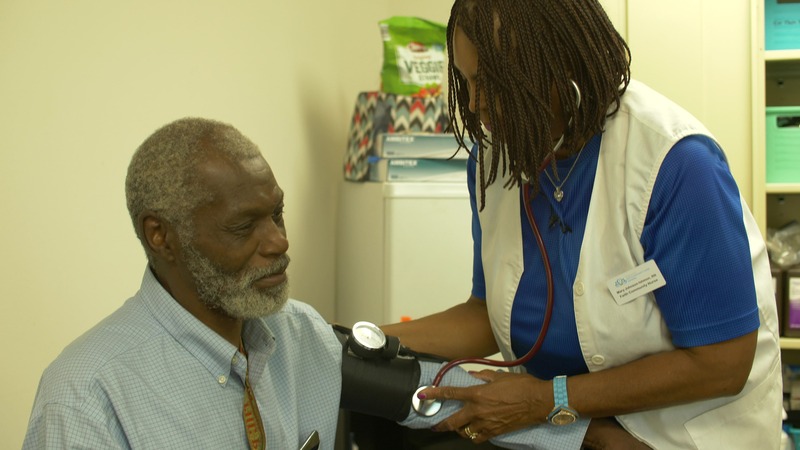 The Homer Schmitz Memorial Health Clinic is saving lives by managing the care of high need residents at St. Andrew's of Jennings and Zion Corner/ Sammie E. Jones Residence, residential housing facilities for low-income seniors. These seniors live on approximately $12,000 annually, forcing them to make extremely difficult financial decisions: "Should I purchase my medicine or groceries this month?" "Should I pay my utilities or transportation to a physician's office?" The clinic provides on-site, walk-in healtcare services to all residents, at no cost, so they can get medical services before major health issues develop. Decrease the use of emergency medical transportation by taking proactive healthcare measures; monitoring blood pressure, blood sugar, breathing, medication management and walking programs. By coordinating healthcare, managing chronic conditions, and monitoring after a hospitalization we strive to prevent the need for more expensive care over time and provide each deserving resident with an enhanced quality of life.